Hi, my name’s Heather and I adore instant film photography! 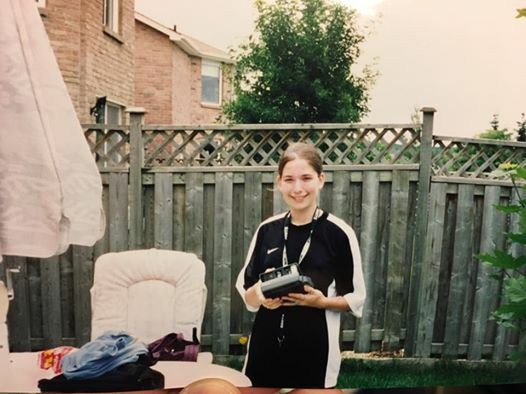 Taken circa 1999 at a friend’s pool party. I spent most of my time taking photos rather than swimming! I used it to document six months of my teenage life from my 14th birthday party to my family vacation in England and France. To this day, the 100 shots I took with that camera are still the ones that mean the most to me. It’s surprising considering that I took hundreds of pictures with single-use film cameras around the same time, and tens of thousands with various digital cameras later on. This year, following nearly a decade of strictly digital photography, I decided to return to instant film once more by purchasing a Fujifilm Instax Mini 9. This blog is all about my adventures in film photography. For now, I’ll only be talking about the Instax series but I hope to expand to other brands as well!